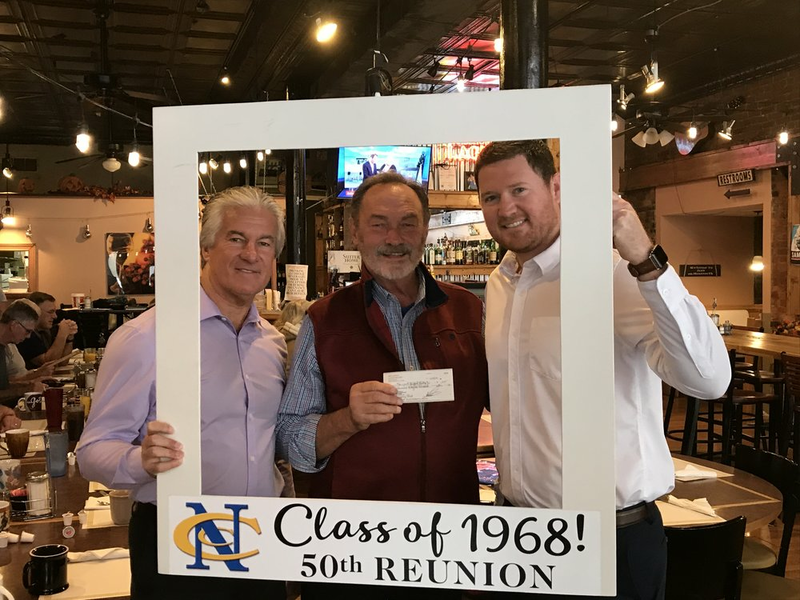 The Newport Catholic Class of 1968 and class representative Ken Gunkel presented Principal Ron Dawn and Advancement Director Kenny Collopy with a check for funds raised at their 50th Reunion. With this donation, the Class of 1968 has now raised over $17,000 for Newport Central Catholic by way of the Newport Catholic & Our Lady of Providence 50 Year Reunion Legacy Fund. We are incredibly grateful for the support that we have from our alumni like those from the Class of 1968!